Here at the Bakehouse, we pride ourselves on sourcing local ingredients from Michigan farmers who care about sustainable practices. Dan Hiday, the owner and principal farmer of the Hiday Family Farm, fits this bill to a T and we’ve been carrying pints of his organic, grass-fed yogurt in the Bakeshop for close to a year now. 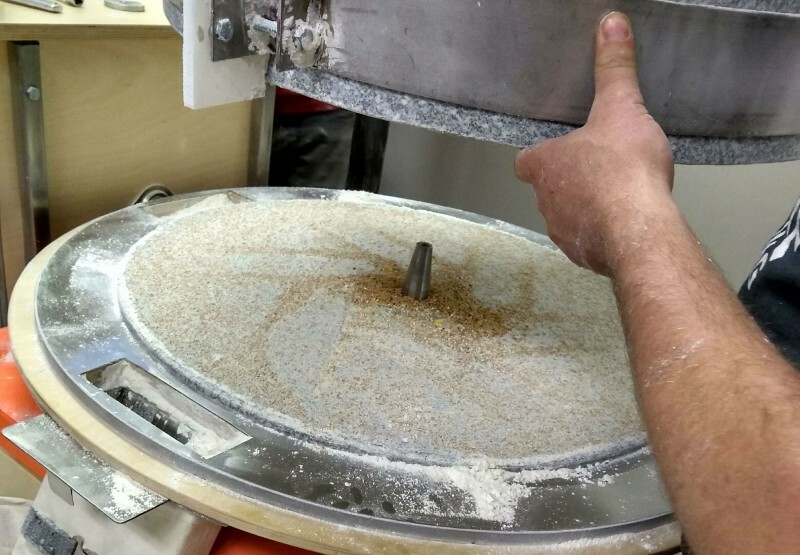 Stone milling fresh flour from grains grown locally has a rich and storied history throughout southeastern Michigan and especially here in Ann Arbor and greater Washtenaw County. This history goes as far back as the early 19th century, during the earliest days of settlement of what was then the Michigan “frontier;” a time when water-powered stone grist mills were at the heart of every town and agricultural community that settled along the Huron, Clinton, and Raisin Rivers and their tributaries throughout Washtenaw County. We find that we do better work when we’re actively learning. Our new stone mill is a great opportunity to study our local stone-milling heritage, farming, the world of whole grains, the age-old traditions of baking with freshly milled flours, other forms of milling...the list is long. Today we’re diving into early 19th-century American Mill design and the role of mills in local communities. At the Bakehouse, edible centerpieces are always our first pick. (What can we say, we love to eat!) The Celebration Wreath’s decorative design lends itself to easy tearing and sharing; it really invites you and your family to break bread together—and makes a photo-worthy addition to your holiday table, too. 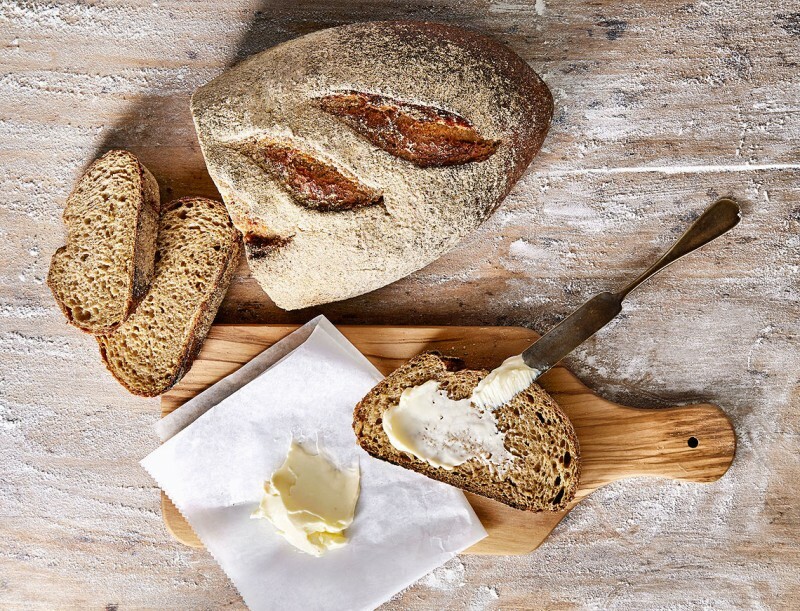 Announcing: ALL organic grains in our Roadhouse bread! We’ve been talking lately about our passion for whole grains and freshly milled grains, and we’re excited to share that we’re now able to move forward with more of that here at the Bakehouse thanks to the arrival of our beautiful, hand-built stone mill. 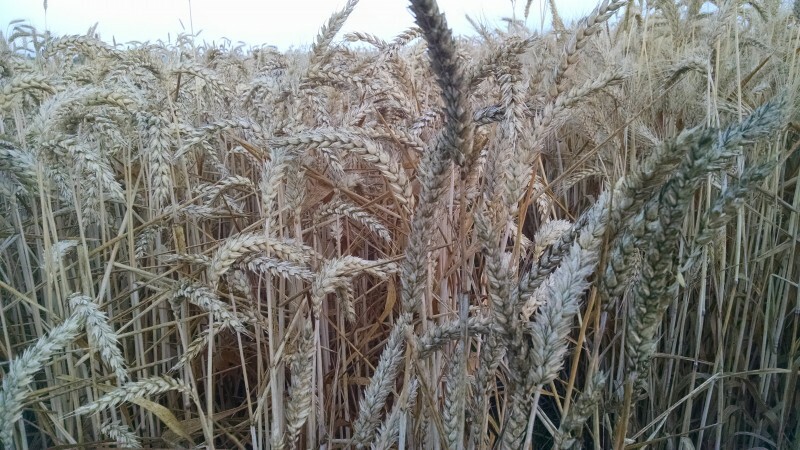 We headed to the 8th annual Grain Gathering already on a path to incorporating freshly milled whole grain flours in our bakes, whether breads or pastries. We came back seriously inspired to do more. Installing our own stone mill and using locally sourced grains, reflects our dedication to the vision embodied by the Grain Gathering and is just the beginning. 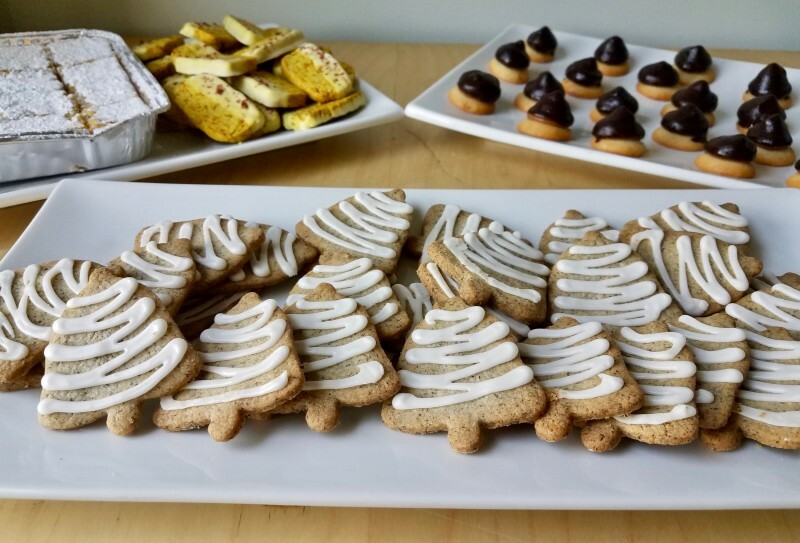 One of Sue Chagas' favorite parts of being an instructor is getting to develop new classes and recipes, like fancy schmancy cookie recipes—this is the 11th year of our Fancy Schmancy Holiday Cookies class and we haven’t repeated a cookie yet! Students often ask us how we choose the cookies (and if we need volunteer tasters! ), so she wanted to share a little bit about how that process works. At Zingerman's Bakehouse, we value traditional baking methods. 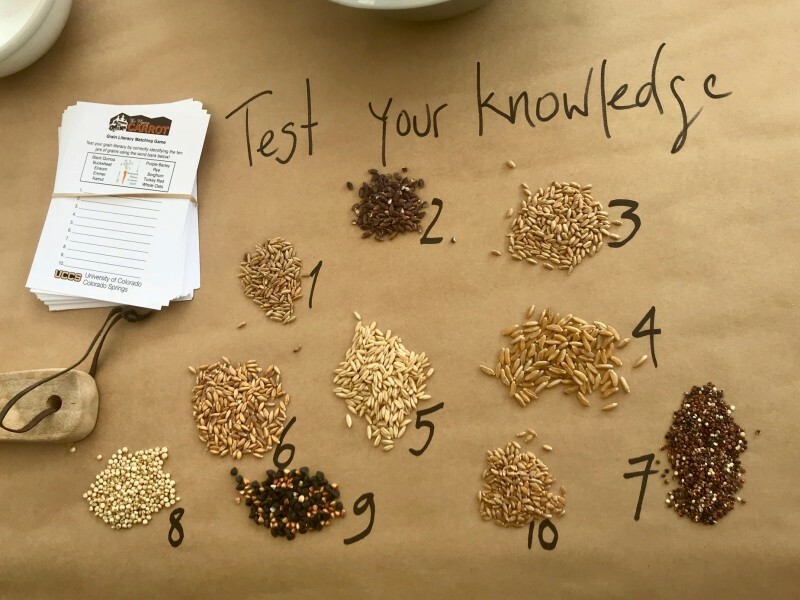 To stay connected to the roots of where these foods came from, we often do extensive research to learn all we can before making something. We enjoy this part of the process as much as we love taste testing recipes (almost!). Here's the history of something dear to our hearts in America and at the Bakehouse, good old apple pie, just in time for the holidays, from one of our multi-talented staffers, Lee Vedder. 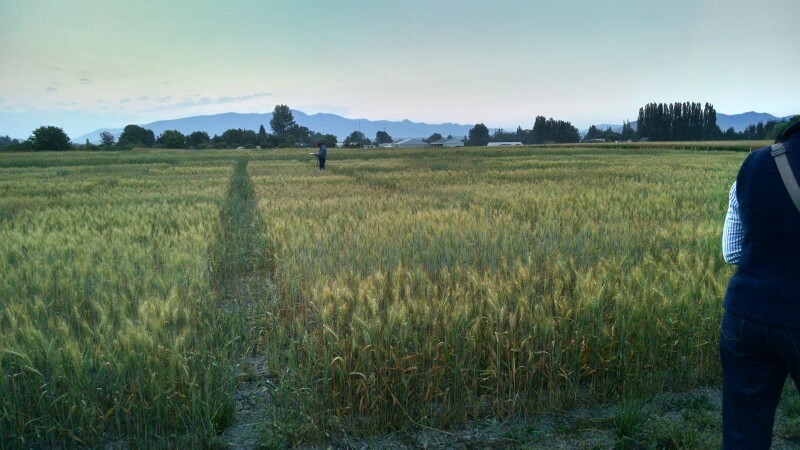 Grains have been part of the human diet since we were hunter-gatherers—at least 14,000 years! We’re interested in old foodways at the Bakehouse and often use at least 100 years as a mental guideline for what constitutes old. At 14,000 years grains certainly make the cut-off.